Insert crisps to continue. : Pork scratchings? 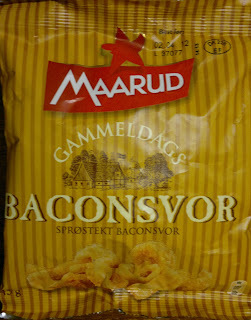 Nope, Baconsvor! 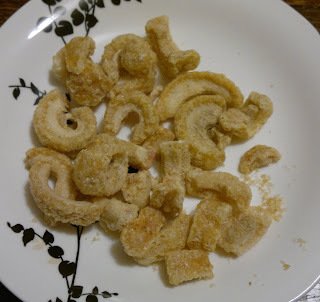 Tired of molar-shatteringly hard, multiple-additive, over-seasoned pork scratchings that look like an ogre's toenails? 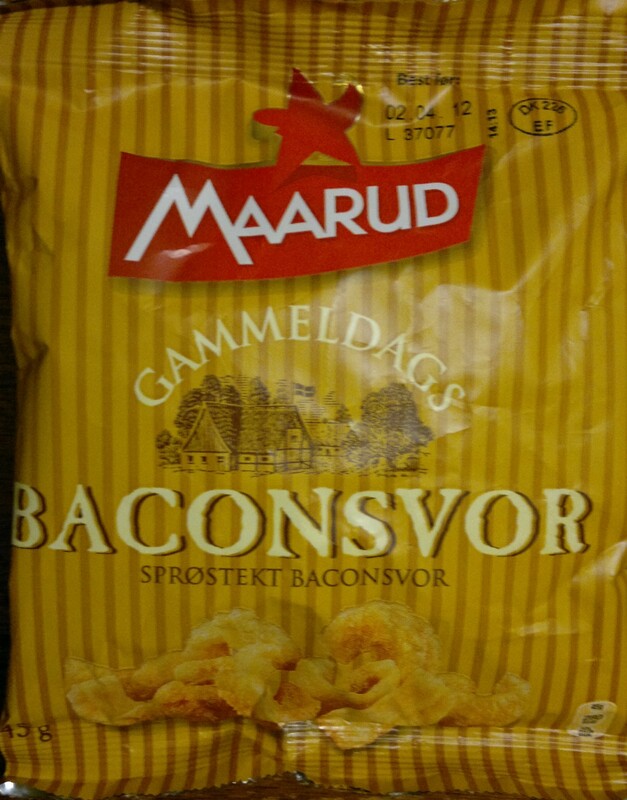 Look no further than our Scandinavian friends. These are seasoned with salt and nothing else, and they rock.